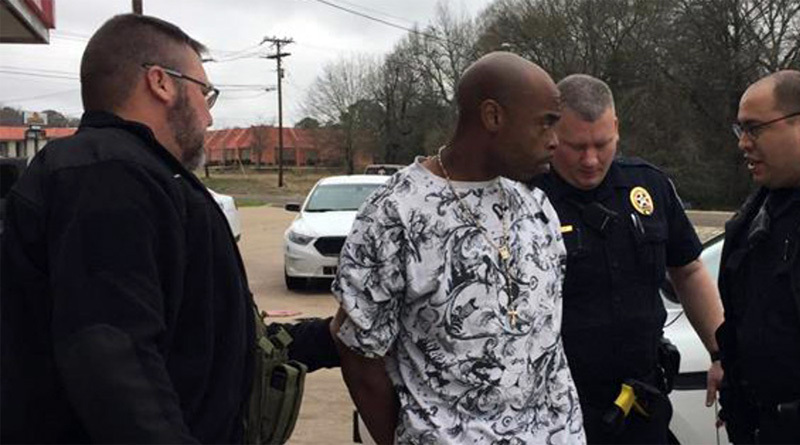 Police have arrested a suspect who they say duct-taped a store clerk and a customer, then set the customer on fire during a robbery at a Palestine, Texas convenience store. The robbery occurred Thursday morning at the Pit Stop on North Link Street. 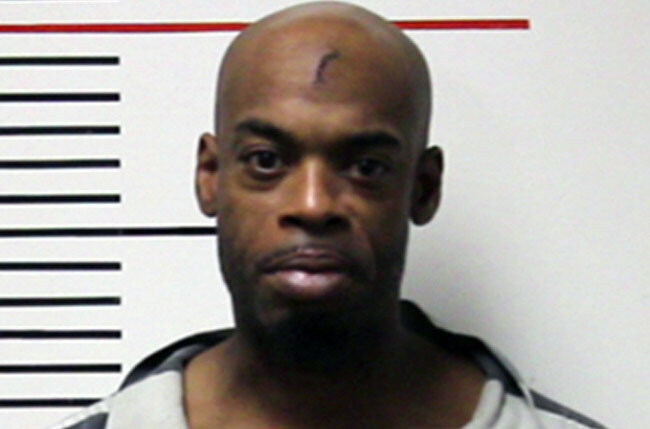 Thursday afternoon officers arrested Robert Thompson, 40, at JJ’s Fast Stop in the 1200 block of East Palestine. Thompson was arrested on a warrant for aggravated assault with a deadly weapon and aggravated robbery. According to Chief Andy Harvey, the suspect entered the store armed with a handgun. He is shown on surveillance video asking the store clerk for something from behind the counter, and when her back is turned, he is shown pulling a handgun out. He is then shown forcing the clerk into a corner behind the counter. The video also shows the man – later identified as Thompson – going to the door of the store, and physically bringing a female customer into the store. He is shown duct-taping her behind the counter. He then doused the women with fluid, and lit the customer, identified by police as Della Witt-Denizeri, on fire. Harvey said the clerk was able to help the customer get her burning shirt off. Denizeri was transported to a local hospital for treatment, and was then taken to a Dallas hospital for treatment. “The suspect … decided to pour lighter fluid on the cashier and the customer. Right before he left, he lit a match and lit them on fire,” Harvey said. Later Harvey clarified that the customer was set on fire, while the clerk was crouched in the corner and doused with lighter fluid. The lighter fluid, the store owner said, had been bought by the suspect a short time before he re-entered the store to commit the crime. “All I can say is thank God no one got hurt that bad,” Pit Stop Owner Muhamammad Khan said. Khan said that the man got away with between $700-800. Harvey said the suspect fled in a white Malibu or Impala on Highway 155. The car was driven by a female, who is now being questioned by police. Thompson was later found Thursday afternoon at a different gas station in the city. During the press conference, Harvey said that Thompson has a previous criminal history, mostly related to drugs, and confirmed that he does live in the area. “Our community is safer tonight because he’s been arrested. It could have been so much worse,” Harvey said. He commended the patrol officers and detectives who worked seamlessly to capture Thompson in such a short time.